Alan Greenspan seems to want to have his cake and eat it too. In a Bloomberg TV interview, he bemoans the high amounts of U.S. government debt, and says he believes rising treasury yields are a signal that the market is starting to get very worried about America’s ability to finance itself. 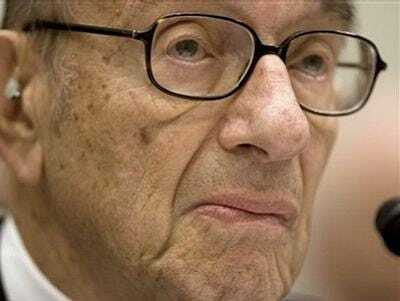 “I don’t like American politics and what’s happening,” Greenspan said. What he’s saying is true to some extent. Yet, lower interest rates promote growth in debt by making it dirt cheap, while higher rates curb its growth by making it expensive. Thus it’s a bit rich to hear the man who loved to keep U.S. rates exceptionally low as a form of stimulus complaining about how large America’s debt has become. In fact, while rising interest rates are a sign of market concern, they might actually be the start of America’s debt solution, since they will limit the government’s ability to borrow further. Debt has been too cheap for too long, hence we shouldn’t be shocked by the prospect of paying historically more normal interest rates.